From Grandpa Ernie to ALL I Know and Love. The God who made you is the God who was broken for you. He is the God who cries tears over you. True peace is resting within the protection of someone greater than you. and know that HE is YOUR GOD. CHOOSE FAITH, CHOOSE YESHUA / JESUS ! Listen closely, can you hear HIM? JESUS doesn’t shout HE Whispers your name. has been ALL ABOUT THE JOURNEY. Matthew 7: 23 “Not everyone who says to Me, Lord, Lord, will enter the kingdom of heaven. Many will say to me on that day, Lord, Lord, did we not prophesy in Your name, and in Your name cast out demons, and in Your name perform miracles? Matthew 16:15, “But who do YOU say that I am? And Peter said, You are the Christ the Son of the Living God!”. 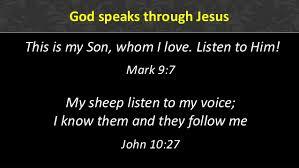 Luke 18:8 “When the Son of Man comes, will He find faith on the earth?” Whose Voice are You Listening To? 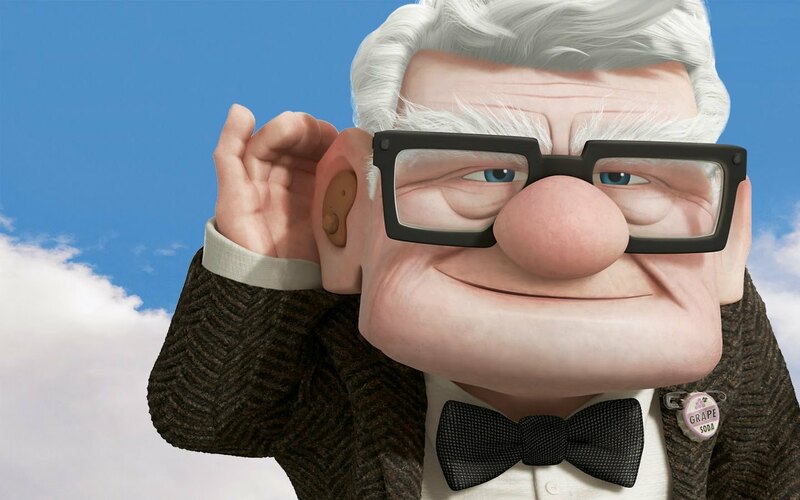 God said… “This is My SON…Listen to HIM! Jesus came to Earth to save sinners. Jesus is the ultimate evangelist. Your only purpose here in this life is to come to know Him as your personal savior. And then you are to get into the battle for the hearts and minds of lost people. Remember what the Bible says about the unbelievers, and have compassion. “The god of this world has blinded the minds of the unbelieving, that they might not see the light of the gospel of the glory of Christ, who is the image of God” (2 Corinthians 4:4). They are “futile in their speculations, and their foolish heart is darkened” (Romans 1:21). They are “dead in their trespasses and sins”; they walk “according to the course of this world, according to the prince of the power of the air, of the spirit that is now working in the sons of disobedience”; and they are “by nature children of wrath” (Ephesians 2:1-3). Many people attend a church…Few are committed to being the church. Throughout time it has always been about the MANY and the FEW , the TARES and the WHEAT, the WIDE ROAD and the NARROW ROAD. GOD help us consider the wonder of it all; that JESUS determined that HE would rather go to Hell on our behalf, than live in Heaven without us. Which God Do You Serve ? What religion are you and which God do you serve? The questions are really one and the same. Both questions, if we are honest with ourselves, are rarely considered or given any thought. Yet I have found in witnessing to people, that these are the two questions that need to be addressed before going any further. The entire Middle East conflict that has flared up again has its basis and resolution in these two questions. The questions have been answered by God. He will resolve this ancient conflict in His timing and in exactly the way He decreed in His prophecies, thousands of years ago. It is not possible to consider the questions of what religion are you and what God do you serve and come to any conclusion unless you are willing to admit that Absolute Truth exists. Absolute Truth is proven by historical facts anchored in the foundation of a moral code given by The Creator God who exists outside of time and space. In our world today it seems no one believes anymore that absolute truth exists. Our culture is stained with the disease of political correctness that is restructuring our society to protect the rights of those who are wrong; and has now given rise to a culture of relativism. Simply put, there is no absolute truth. God and the 10 commandments representing our society’s moral anchor, Gods Highest Standards, has been effectively compromised and evicted from our society. A comedian once said of this that “God has left the building”…before that it has been said in the media that “God is Dead”. God is not dead, nor has He left the building. God has left us to reap the whirlwinds we have now sown; winds of change that will bring consequences of Sin gone wild and out of control. Our society is like a ship without a tiller or anchor. We are driven about by the continuous winds of change, without an anchor set deep into a foundation of standards by which to judge right from wrong. The symbol of American Justice, the lady with the balance scales, has truly become blind. Relativistic societies have no moral standards, all opinions are valued, and justice is not served. Truth no longer exists in our land and its people cry out for lack of wisdom and discernment. From 1982 through 1985 I too was crying out because of a lack of wisdom and discernment. I could not control the circumstances I found myself in, the emotional pain was unbearable. My emotional and spiritual pain had driven me to the end of self. So I called out to a God I did not know, but who answered me and began molding me anew with hammer blows on his anvil of love. God waits for our nation to come to its end of self and to cry out to Him, but our voice is silent. So be prepared as the winds of war continue to grow and our nation begins to reap what it has sown. If you have placed your faith in the Lord God of Israel, rest in HIM. You know this life is but a vapor, the material things you have will all go away. The only things that will continue to be with you in heaven are people (Father, Mother, Children, Grand Children…everyone you care about), who have been born again. What religion are you and which God do you serve are both answered by God Himself when He answers the ONLY question that matters….Will I Go to Heaven? That question deserves an answer, but not by me. What is unique is that the answers come from Gods written word. They are not the words of religions formed by men like Priests, Popes, Rabbi’s, Reverends, Ministers, and Pastors. The definition of religion is replacing the truth of God with the false truth’s of men. Gods personal answer to your question…Will I go to Heaven; only comes from the Old and New Testament, His Inspired Written Word to Mankind. Posted in FOOD for YOUR JOURNEY	Tagged Heaven, religion, Truth, Will I Go to Heaven? Because Gods prophecies all come to pass and His prophecies are based on His Oaths and Promises and God cannot lie; then now I can rest and wait for His sure expected return for me. Why, because I am one of I AM’s children. Now every new day of life I have been given allows me to wake up and look up and say “Perhaps Today”, Jesus will come for me. 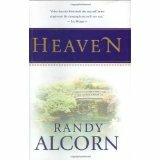 Heaven is where I am going… “Perhaps Today”… will I see you there? Then the LORD God formed man of dust from the ground, and breathed into his nostrils the breath of life; and man became a living being. Psalms 103:14 He Himself knows our frame; He is mindful that we are but dust. I for one have never even considered the view of Angels about anything. Yet you and I know they exist and they have witnessed it all. The Bible says they are anxious to look into the wonder of our Salvation, and that they rejoice in Heaven over the coming to faith of just one new believer. When I think of the Holy Angels I am in AWE of such creatures that our GOD had created before us. Then I think of us. Earthen Vessels, so fragile, so weak, so confused not understanding the One Who MADE US. We have His very Words on the subject, we are accountable, we are without excuse to know HIM and the Plan that HIS-Story is bringing now to an End. We have 3 important responsibilities as we live our lives before the FACE of GOD. We must always REMEMBER HIM and HIS Mighty Works throughout HIS-Story. We are called to STAND ALONE for HIM among the Fragile Clay Pots that still do not know HIM, but continually MOCK HIM. And we are to SHARE Our Salvation Story, planting the seeds that will produce REPENTANCE in those we love, at the Foot of HIS CROSS. The Birth of Our Savior JESUS, fulfilled the ancient mystery of the coming Redeemer spoken of throughout the Old Testament Messianic Prophecies. Jesus took on Flesh, and Manna became Man as HE walked onto the pages of human history and took his place within the ancient story, the place of the Anointed One, the Christ, the Messiah, The SON of GOD. The Messiah has come. He came as a Lamb to be slain for YOU. Soon He will come again for those of us who look for His Coming. This time He comes as the Lion of Tribe of Judah…our conquering King, to take back what belongs to HIM ALONE, the City of GOD, JERUSALEM and HIS…planet Earth and ALL the Children HIS FATHER promised HIM from Eternity Past. Our lives are filled with distractions and we tend to get wrapped up in our world and all its stuff. We forget about Gods greatest gift to us. The wise men sought out “He who has been born King of the Jews”. They came to bow the knee to the Holy One of Israel and the world. They came because centuries before a man called Daniel honored His GOD within a pagan society and planted seeds that the Holy Spirit watered and Pagans became BELIEVERS. I hope all of you take the time to be still and listen and know that JESUS is Emmanuel. JESUS IS GOD. The ONE who WAS, and IS, and IS TOO COME. We are a people called to remember both His Birth and His Cross. One event could not happen without the other. The two events together guarantee the third event…His Return and Reign as the KING of ETERNITY. “Then I saw a new Heaven and a new Earth…And I heard a loud voice from the throne saying, Now the dwelling of God is with men, and He will live with them. They will be his people, and God himself will be with them and be their God. He will wipe every tear from their eyes. There will be no more death or mourning or crying or pain, for the old order of things has passed away. He who was seated on the throne said, “I am making everything new!” Revelation 21:1, 3-5. We were all made for One Person and One Place. Jesus is the Person. Heaven is the Place. There is a statement by Jesus from a scene recorded in Revelation 3 vs 5. Jesus said that HE will confess your name before His FATHER and before His Angels. Can you imagine that? Jesus will come for you and take you by the hand and lead you between columns of myriads of holy angels. 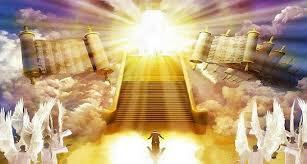 Up, the stairs of light, continuing up amongst the cheering of the great cloud of witnesses of those that have gone before you throughout the ages: up to stand before the very throne of Almighty GOD. Then Jesus will say to HIS Father, I want you to meet one of mine…One who was not ashamed of MY NAME. If you have not accepted JESUS as your SAVIOR and LORD, then you have no time to waste. Please take HIS outstretched hand and let Him take you home while you live. “For the hour is coming when the dead shall hear the voice of the Son of God…and those who hear will live.” If you are not saved you will not be able to hear HIS VOICE. All you will hear for Eternity will be the Sound of Silence. I wanted to let all of you know how VERY SAD I am that you are not as blessed as me. You see you were given a very special image to reflect as you walk this earth. You were made to reflect the Image of God because He made you in His Image. The problem is that you just do not understand who the one that created you really is. That’s obvious from the way you live your life. The problem is that you have a choice to make that does not apply to me, because I was born already chosen from birth. Just like your ancestor’s populated the Earth from its beginning within the Garden of Eden so have my ancestors been there within the Garden of Eden with yours. God blessed each of us with 5 sense so we could enjoy the world that He created for us. I can see, (Better than You), I can smell (Better than You), I can taste (Better than You), I can hear (Better than You), but you can touch (Better than me). I DO have a 6th Sense TOO, but some people don’t believe it. I have a SOUL and a personality just like you. God created you with the ability to love , but since the Fall of Eden your love is now conditional. However my love has never changed since the Garden of Eden. My love is still innocent and Un-Conditional. Since the Fall you have lost your way to heaven, but God in His Mercy to you has explained your problem within the Bible that He wrote especially for you to read and understand and then make the right decision. You see your at a CROSS ROAD at a DEAD END Street going nowhere. You must Turn to the Left or the Right to continue your journey. The problem you have is that without understanding the directions God has given you in His Word you WILL, I guarantee it; make the wrong turn and not take the Narrow Road to Heaven. I on the other PAW, have no choice to make at all. God in His Mercy to Me and my KIND provided us with Salvation and Instant Heaven when we die. I am writing this to you to let you know that I AM always praying for you with all of my friends; that you would stop thinking about yourself all the time and begin seriously thinking about the GOD who created both of us; before its too late for you. Me and my Kind want you to know that we love all of you very much and hope to see all of you in Heaven with US. Love in Christ Our Great King. Chloe Pahlek your Boston Terrier Friend. If a Believer in Christ dies leaving their unbelieving Family Members Behind, their hopes and prayers for eternal life for those they love may still be answered. The LORD has given us HOPE that the Family we love and our dear friends we love will have more opportunities to ACCEPT JESUS as their LORD and SAVIOR after we have gone to heaven. We live within the times and season of the coming RAPTURE of BELIEVERS. Prophecies are coming true every day. The only people Blind to them are the Non-Believers. • Warned of coming events. • Understand whats coming in detail. • Have Scripture References so they can read GODS Word …not mine. while I was physically alive. Then if I go in the RAPTURE, they will not believe the LIES of the Anti-Christ. They will unfortunately have to go through the TRIBULATION. But they are forewarned of this and hopefully will accept JESUS as their SAVIOR and LORD and STAND ALONE for JESUS by walking through the Veil of Death in PEACE knowing they have ETERNAL LIFE in Heaven the split second they die. They will have 144,000 Jewish Evangelists speaking the Gospel. Two Old Testament Prophets will BEAM DOWN from HEAVEN to be witness. And their will be a HOLY ANGEL flying around in the SKY preaching the GOSPEL and REPENTANCE for SALVATION to ALL who will hear. This time period will produce the Greatest Number of New Believers in Earths History. Jesus says HE will wipe away the tears from our eyes in heaven. I do not want to have tears in my eyes as I look into hell and see the Justice of the LORD and what has happened to those who are TRULY LEFT BEHIND because they did not take the time to Read the GOSPELS about the LIFE OF JESUS on this planet 2000 years ago. The GOSPELS of Matthew, Mark, Luke and John ARE the Pre-Written History by GOD the FATHER of the Life of HIS SON JESUS as He walked among those HE Created 2000 years ago. The words I have written for this message have no life. READ GODS WORDS in the 4 GOSPELS and HE WILL GIVE YOU ETERNAL LIFE. Believers will LOOK into Hell when they arrive in Heaven. Will your family members be the cause of YOUR TEARS. everyone living will come to worship in my presence,” says Adonai. 24 “As they leave, they will look on the corpses of the people who rebelled against me. ARE YOU SURE YOU ARE A REAL BELIEVER , or are you SELF DECEIVED ? Self Deceived BELIEVERS will stand before JESUS and be sent directly to Hell. 3) A live interview with a dead man in Hell who experienced the ETERNAL 2nd DEATH. He still lives Today without Gods Mercy, Grace, Peace or HOPE ! JESUS preached more about HELL than on Heaven. If you believe in Heaven then you have to believe in HELL. NO ANTHONY….IT’S GOING TO BE MUCH WORSE THAN THAT ! JESUS will provide JUSTICE to every HUMAN BEING and ANGELIC BEING ever created. An Atheist will Die 2 Times. The definition of an Atheist is someone who does not believe in god. However, I really see no difference between an atheist or someone who worships a false god created by one of multiple man made religions. Because neither group worships The True GOD, they worship themselves as god or demons as god. Every Religion created by man worships a god who is soon to be dead and gone forever. The god (satan) of this earth knows he is doomed to go to hell forever. He wants to take as many of you as he can with him. GOD has provided NO REDEMPTION for satan or the fallen angels that follow him. The TRUE GOD has provided YOU with REDEMPTION. The instructions for you gain Redemption are in the BIBLE. Considering the PENALTY for not being REDEEMED, I would think you would at least invest the time now to read the LIfe of Jesus which is Documented History and make your own decision before you stand in front of HIM. GOD makes it clear in HIS SCRIPTURES that there is ETERNAL Life in Heaven and ETERNAL Death in Hell. GOD created both places and will Reign from HIS Throne over both places. There is ONLY ONE WAY to the KINGDOM of GOD. There is ONLY ONE LIVING PERSON today that HOLDS the KEYS to OPEN the DOOR for you to go in. HIS Name is JESUS, The SON of GOD. The PERSON that you will bow before and then accept the DESTINY of your Choosing FOREVER. Every Non Believer will have a physical death, then a Spiritual Death. Jesus will give them a NEW DEAD BODY Created for their Eternal Death. Every Believer in the LORD JESUS will ONLY have a Physical Death. Then Live forever in their NEW LIVING BODY created for their Eternal Life. They will be able to travel the NEW UNIVERSE that GOD will RE-CREATE for them to explore Forever. JESUS IS THE KING OF BOTH THE LOST AND THE FOUND. Matthew 10:28 Do not fear those who kill the body but are unable to kill the soul; but rather fear HIM who is able to destroy both soul and body in hell. My Believing Friend, YOU will be able to LOOK INTO HELL and SEE the JUSTICE of JESUS. See Scriptures below.